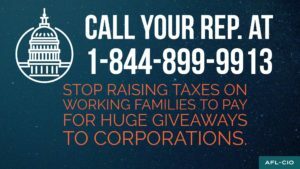 Take Action: Stop the GOP Tax Scam on Working People! All hands on deck! We have to defeat the bill that would harm millions of working people so the rich can get even bigger tax breaks. If passed under current budget rules the GOP tax bill would result in immediate cuts of over $100 billion in health and human services, including $25 billion per year to Medicare. This quarter-trillion dollar cut would impact the care of seniors and people with disabilities as well as their families that all depend on this crucial program. There are several emergency events planned around California to fight back against this cruel, despicable bill. What: Protest the TAX SCAM! Rep LaMalfa vote NO! Additional info: We’ll bring signs, water and some snacks, a few tables and chairs. We’ll write postcards and make phone calls. Bring your cell phone and some friends! What: Rep Denham: You Better Watch Out, You Better Not Lie! What: Rep Knight – Vote NO on the Tax Scam! What: Vote NO Congressman Darrell Issa! Parking: Park in the Hope Church parking lot. Pastor Matthew Palm of Hope Church at 1755 Thibodo Rd offers the parking lot to promote public safety (he recognizes the danger of people parking illegally on Thibodo Rd), and emphasizes that the church does not take sides in politics. if you have mobility issues, pull into Issa’s lot. Ask someone in a yellow vest for a parking pass. What: We Demand A No Vote, Rep Mimi Walters! Short press conference then march across the street and in front of mall. What: Rally to Defeat the GOP Tax Scam! Send a message to Rep McCarthy urging him to vote NO! Can’t find an action near you? 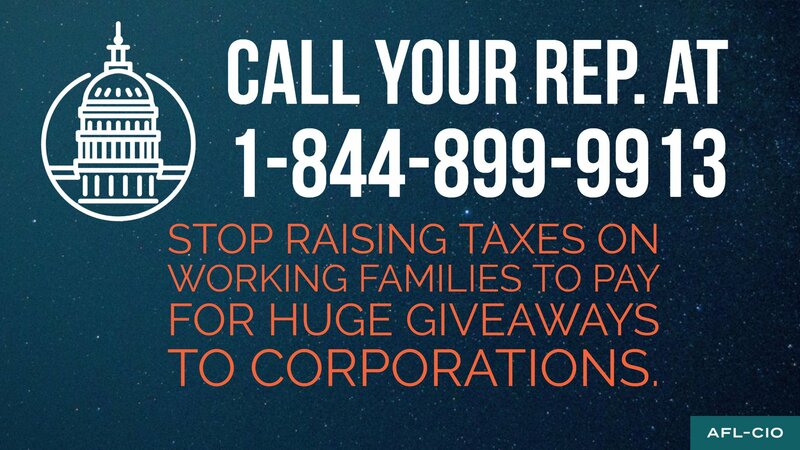 Take action and call your Representative today!